Cinematographer Wally Pfister (The Dark Knight) spoke with Cinematical about shooting the next installment in the Batman franchise and whether or not it would go 3D and/or IMAX. Pfister revealed that neither he nor director Christopher Nolan have any interest in 3D and see the technology as a fad. 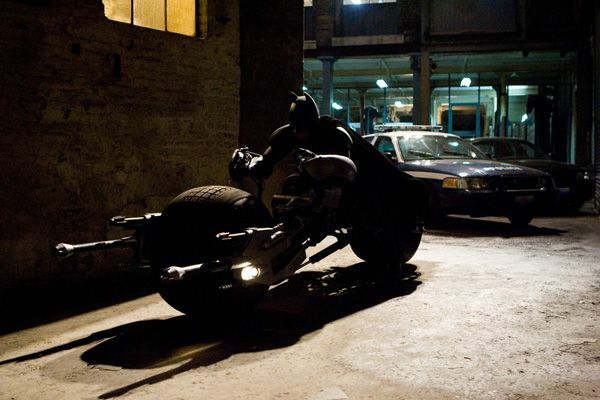 While both like shooting in IMAX (several scenes of The Dark Knight were shot in the format), they know that the camera technology don’t have the necessary mobility required to shoot all the scenes of an action film. But no matter how they end up shooting the flick, Pfister and Nolan have already agreed that they will shoot Batman 3 on film and not video. Hit the jump for more on what Pfister had to say about digital cameras, 3D, and the benefits of shooting in IMAX. AICN reported on some more of the cinematographer’s comments. Pfister has no love for 3D and says the technology is, “great for like amusement park rides like the ‘Honey I Shrunk The Kids’ ride at Disneyland,” but ” it’s a distraction. Can you imagine Memento in 3D? With Joey Pantoliano’s glasses sticking out ‘a few feet’ with his hair all the way back there?” I can and it has given me countless nightmares. Moving to more positive comments, Pfister says he does like IMAX and that director Brad Bird (Ratatouille) said his teenage sons, “thought that the IMAX used in The Dark Knight was more realistic than the 3D in these new movies.” And while Pfister enjoys the image and expansive frame provided by IMAX, he says that 2.35:1 is his shooting ratio of choice.